You want to have an elegant and sensational wedding?? 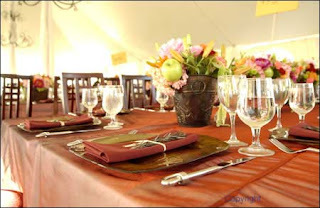 In order to set the mood and wow your guests you picked brown velvet linens(touch), hired a lighting company(sight), tasted chocolate ganache for your cake(taste) and taken dance lessons to your favorite song(hear). Well what about smell?? Lets knock the socks off your guests - literally! David Tutera is big on this - he is always offering suggestions on using all 5 of your senses to create your event or wedding. Start with a smell you want to remind you of your wedding day, does it match your colors, your theme, your food? As Reece said in Legally Blond with her pink scented resume - you want to 'give it that extra something'' You want to subtly have this scent everywhere - from the Save the date cards to the favors. There aren't great places to get scented paper but in making your save the date cards or invitations, you could spray the paper lightly with room spray before stuffing envelopes. Or use drawer liners from Crabtree and Evelyn. Another way to introduce that scent is to enclose an item; a sprig of rosemary or eucalyptus, rose petals, mint, a leaf or cinnamon sticks. Add it to a signature drink; lavender lemonade, mojito, cinnamon cider, a licorice stick in a martini. Have your florist add something to your flowers; fruit etc. This may not work for centerpieces because you don't want to take away from the food smells but any aisle decor or even a wreath on the church doors. If you do want something in your reception you could look for a scent machine. www.scentevents.com and about $300 for a small discreet devise that would work for hours in a hotel ballroom. Enclose a candle or other scented item in the out of town gift bags, use reed difusers in the restrooms, put candles everywhere. 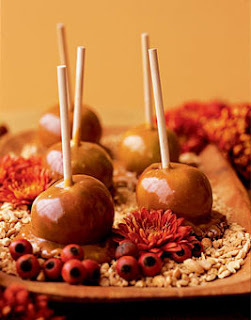 If your scent is food related, incorporate it in the favor; cinnamon snicker doodle cookies, olive oil infused with rosemary or caramel apples. Scents bring back memories -Now every time someone smells cinnamon or lemon verbena - they will think of you, your wedding and be reminded of the love you showed that day.